Let’s make beautiful music together. We’re in tune with what we do. We know playing a moving piece takes practice, technique and an artform. 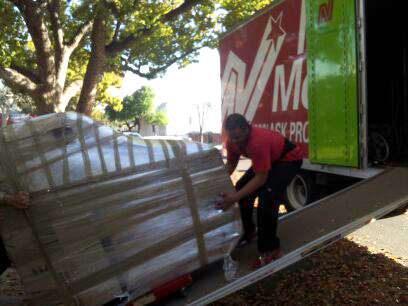 Moving a piano does too. Our years of practice have helped us develop and perfect our pitch perfect state-of-the-art techniques. It’s why we’ve gained a following. Make moving your piano music to your ears. We don’t skip straight to the coda when moving pianos. We ask ourselves a number of questions before playing the grand finale. Prior to moving day, we’ll make the necessary adjustments needed to move your piano from Point A to Point B. We’ll look at how much your piano weighs, take measurements of your doorways and baby grand and note any obstacles that stand in the way of moving your Steinway or Yahama into and out of your home. How we stay one octave above the competition. We pay close attention to the composer’s notes and use the utmost articulation needed to get your piano where it needs to go. Upright pianos can weigh over 800 pounds and small grand pianos can start at 54 inches long. 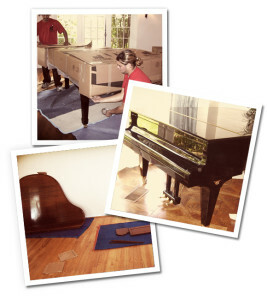 If your piano is too big to roll out it one piece, we can dissemble what is necessary. We don’t rely on your piano’s metal casters. 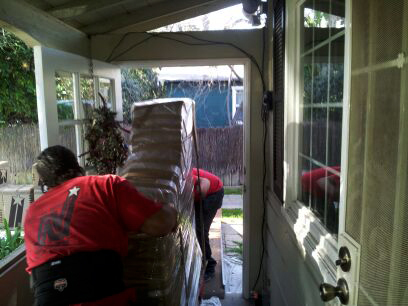 We use four wheel piano dollies, an abundance of crating materials and of course the muscles of the moving crew. Our professional movers will make the right consultations to ensure your piano move scores the best arrangement. We won’t leave you hanging at the fermata. Just as any good conductor, we’ll keep the baton up until everything comes together. We get your piano ready for the tuner who will get your black and white keys in proper playing order and make sure you’re all set to accompany your housewarming party with live musical tunes. We want to finish on a good note and help you get that standing ovation you deserve. Need us to help compose your move? Call us at (800) ASK-PROS.